Hailing from the dry slopes in Sheffield, James ‘Woodsy’ Woods’ remarkable rise to the top of the skiing world has been unconventional. Despite the natural adversity of the British climate, Woodsy has firmly established himself as one of the top freestyle skiers in the world. Having won the Crystal Globe in the 2012/13 season, the sport’s most prestigious prize, Woodsy reached world No. 1 spot. Since then his ranking has never left the top 5 in the last 5 years. He is a multiple World Cup winner and X Games medallist. As a five-time British National Champion, he is widely considered to be Britain’s greatest ever skier – a unique, confident, determined, larger-than life character, Woodsy’s goal is to continue competing at the highest level on the international circuit and ultimately win Olympic Gold. 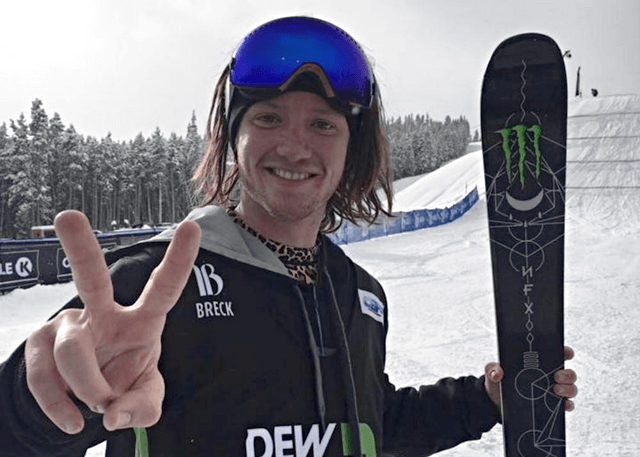 In January 2017 he took the gold medal in the Big Air competition at the Winter X Games XXI. The following year, Woodsy began the year strong with a gold at the World Cup event in Cardrona, New Zealand. He was then selected to compete at the Pyeongchang 2018 Winter Olympic Games in slopestyle skiing. While in Korea, Woodsy breezed through prelims into the final. Giving a beautiful performance in the final, Woodsy came 4th, only one place short of an Olympic medal. Not to be unsettled by missing out on the Olympic Podium, Woodsy bounced back at the Italian World Cup, securing a bronze medal – this fantastic skier isn’t slowing down anytime soon.